A friend of mine had a birthday coming up and I had been trying to think of something to make for her – she always likes to receive the gifts I have made for her and I try and do something a bit different each year. Then I found out she was receiving an iPad as a surprise gift, perfect I thought, I could make her a lovely case to keep it in (her birthday was last week so don’t worry I won’t be spoiling the surprise on here!). What made this idea even better was that I had got some fabric a few weeks ago which was just perfect for it. 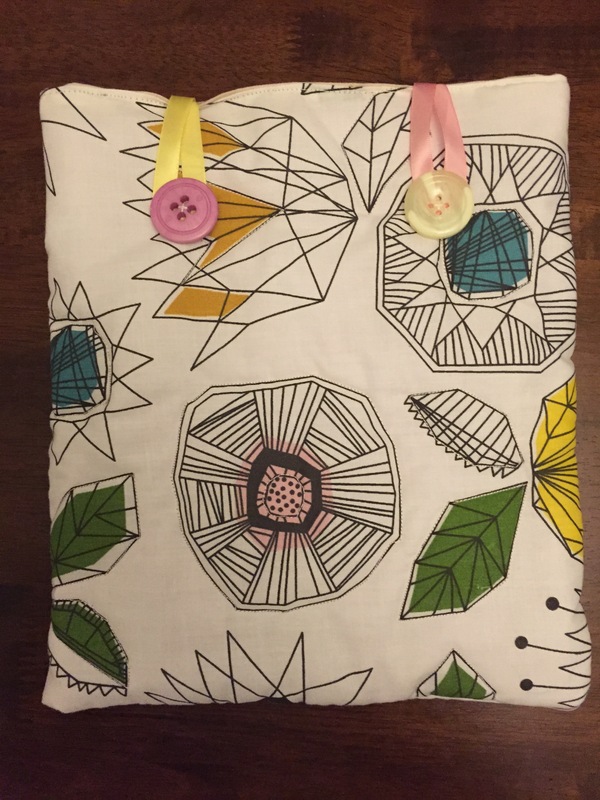 I got this fabric from IKEA and I love the colours and the pattern and I knew she would like it to! For the quilting pattern I decided to sew around the edges of the flowers and leaves to make them really stand out. It took me a little while to get round them all, at one point I didn’t think I was ever going to get there but I eventually made it and I think it looks pretty good! I decided to make my own pattern to make this and am so happy it worked out – nothing worse than making something from your own pattern and it doesn’t come out as you want, I’m pretty new to making patterns and sewing more than just a cushion cover and I’ve unfortunately ended up with a few of these recently – I refer to these disasters when they occur as bin projects and once they become a bin project they are never to be spoken about again!! So glad this hasn’t become one! 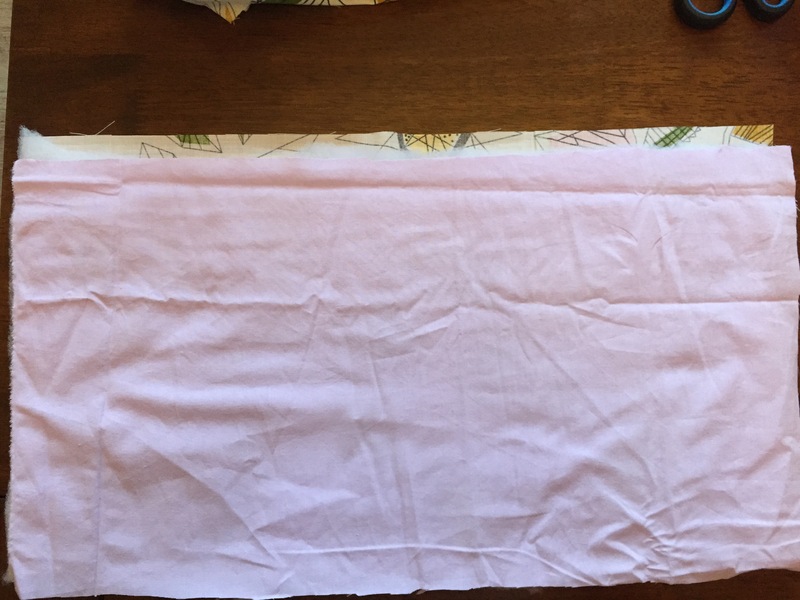 • Lay together the lining for quilting, wadding and case, leaving a 1/2 inch space at the top without any wadding and quilting lining, pin and quilt to the pattern of your choice. 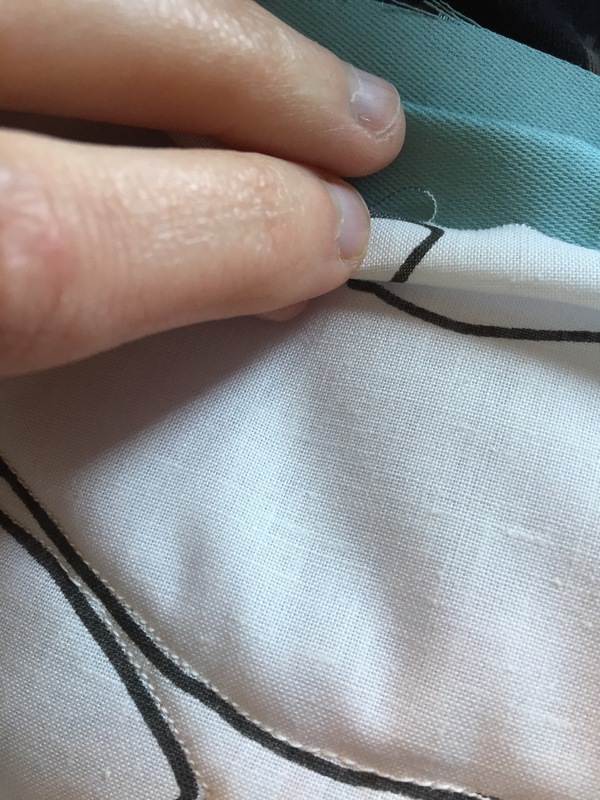 • Fold fabric wrong sides together on the longest side, pin and sew down the side and along the bottom leaving the top unworked. •. Take the lining piece fold in half and sew down side and along bottom. 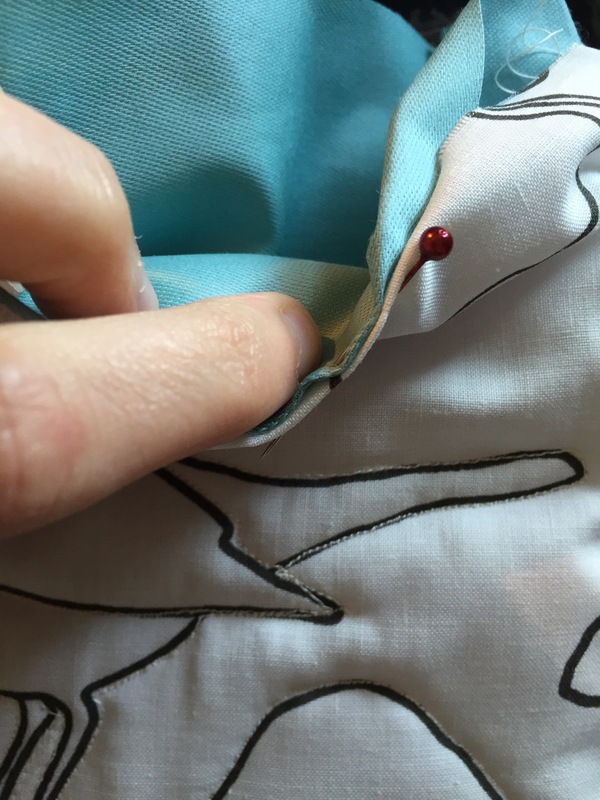 Do not turn but place inside pocket, turn out edge 1/4 inch and turn in pocket by 1/4 inch and pin, making sure in two places at the back you also insert the two ends from the pieces of ribbon making the two loops for going over the button, then sew around edge.